You know the feeling: you wake up one morning, and you feel down. Your throat has a scratchy, painful feeling and swallowing feels like sandpaper. Worse, you know that the ache in your throat is probably an indication that you’re coming down with the flu (or worse). Or maybe you went to a concert the previous evening and yelled for two straight hours. Either way, you’re looking out for home remedies for a sore throat. Your best bet is a doctor. Your doctor is better equipped to identify the problem you’re experiencing and can prescribe antibiotics that will get rid of a sore throat quickly. 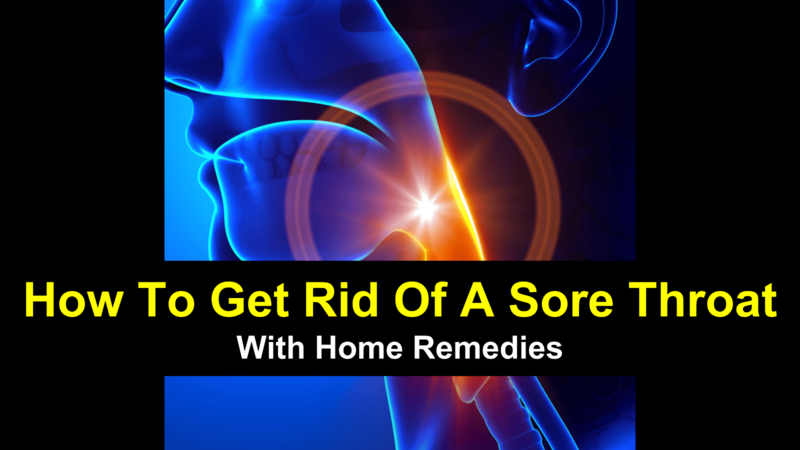 If you’d prefer avoiding the doctor’s office, or if you feel that you’ve been prescribed antibiotics so much they’re ineffective, consider some of these home remedies for sore throats. How Do You Know If You Have A Sore Throat? You’ve probably had a sore throat before, maybe because you were coming down with a cold, or maybe because you attended a concert and spent the night yelling your head off. In this article, we’re going to focus on sickness-related sore throats, rather than sore throats provoked by excess musical enthusiasm. A sore throat is mostly caused by a virus, leading to a cold or the flu. The throat hurts because of inflammation in the throat’s mucous membranes, which are the layers of tissue lining the inside of your throat. When your body detects an infection in your throat, it sends blood to the area to fight the infection, creating swelling and pain. The symptoms of a sore throat can be irritation, pain or itchiness, but also swollen glands and dryness. You likely find talking and swallowing to be painful affairs. Maybe you notice you tend to develop sore throats during specific times of the year, such as spring. Allergies can cause a sore throat because you have a lot of mucus running down your throat. Stomach acid coming up through the esophagus causes acid reflux, which irritates your throat. You might have acid reflux if you have a sore throat and no other symptoms of a cold or sickness and in this case, a change in diet is necessary. Acid reflux can be caused by foods high in acidic content so rather than treat your sore throat (the symptom), you’d want to change your diet (the cause). Stick to healthy foods and eliminate smoking and excessive drinking from your diet. Reduce your coffee intake. Avoid restaurants and if you really have to eat on the go, stick to healthier alternatives like sandwich shops. Limit your chocolate intake, and try to avoid spicy foods. As a side note, if you do try to eat healthier, pay attention to what fruits you’re eating. Citrus fruits like oranges and lemons, while loaded with vitamins and nutrients, are high in acidity and can also contribute to acid reflux. Tonsillitis is the inflammation of the tonsils. As they are quite close to the throat, the inflammation and soreness can spread to the throat. 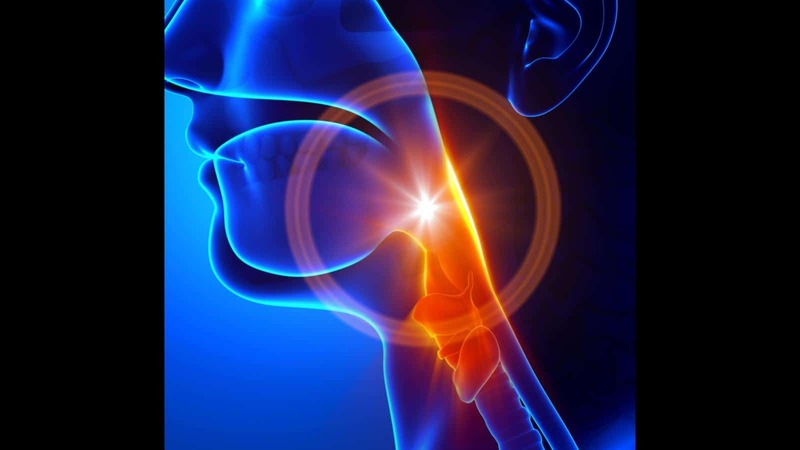 If you have a sore throat, no other cold symptoms, and suffer from bad breath, swollen glands, and white or yellow spots on your tonsils, you may have tonsillitis. A sore throat is a cause for concern, but it’s rarely a sign of a significant problem. If fatigue, difficulty breathing, difficulty swallowing, painful swollen glands or a high fever accompany your sore throat, you should see a doctor immediately as it could be a sign of something more serious. Generally speaking, a sore throat can last up to five to seven days. Antibiotics prescribed by your doctor can reduce your recovery time to two or three days. If your doctor recomends a drug, take it for however long he tells you to take it. In case your doctor wants you to take antibiotics daily for fourteen days, take them for all fourteen days even if you’re feeling better after seven. Otherwise, your sore throat may return. Note: This is a wonderful old-wife household recipe to get rid of a sore throat fast. If the sore throat is caused by a virus it will not be affected by antibiotics. There are many ways to ease the pain of a sore throat, however, as you wait for it to heal on its own. Use essential oils for sore throat. Highly effective and very easy to use. Gargle with salt water. Gargling pulls fluid out of any swollen areas, lessening the swelling. Drink warm liquids. Soothe the irritation with tea, soup, and water. Mix water, lemon juice, and honey for a quick and tasty drink that will help relieve irritation. Also, try hot water, apple cider vinegar, and honey. Make a cinnamon tea by boiling cinnamon sticks in water and then steeping a tea bag in it. Make a ginger tea the same way by boiling small chunks of fresh ginger in water and adding honey. Gargle a little food-safe hydrogen peroxide diluted with water. Hydrogen peroxide kills infections. Eat a marshmallow. Marshmallows are soft to swallow and can coat the painful parts of your throat. Rest. Rest does a body good. How can you tell if you have strep throat? While a sore throat is a symptom of strep throat, they usually have different causes. Unlike a cold, a group of bacteria known as streptococcus causes strep throat. Also contrary to a cold, the sore throat in this instance lingers, and you don’t have symptoms like a runny nose. You can find out if you have strep throat through your doctor performing a swab test for the bacteria. Other commonly found symptoms of strep throat include swollen lymph nodes, fever, and white spots in the throat. Strep throat is treatable with antibiotics, usually amoxicillin or penicillin. It is important to use up all of the medicine, even once the symptoms disappear, to treat strep throat properly. The strep infection can spread to the lymph nodes and tonsils, and even cause infections in the heart valves. Once treated, strep throat takes about ten days to heal, but it is very infectious. How long strep throat lasts depends on how you treat it. Going to the doctor and getting antibiotics will decrease the amount of time you’re contagious to around 24 hours. If you skip going to the doctor, you may be contagious for two or even three weeks. Talking to a professional is the best course of action because strep throat left untreated can spread to various parts of the body, and can lead to other more severe conditions. Again, take your antibiotics for as long as the doctor tells you, even if you’re feeling better. While antibiotics are the fastest and most potent remedies for strep throat, there are a few natural remedies you can try. They are mostly for alleviating the sore throat symptom and may have some side effects of fighting the streptococcus bacteria. These can be useful alternatives to those who are concerned about the effects of antibiotics. Gargling with diluted apple cider vinegar may help with strep throat. It has antibacterial properties. 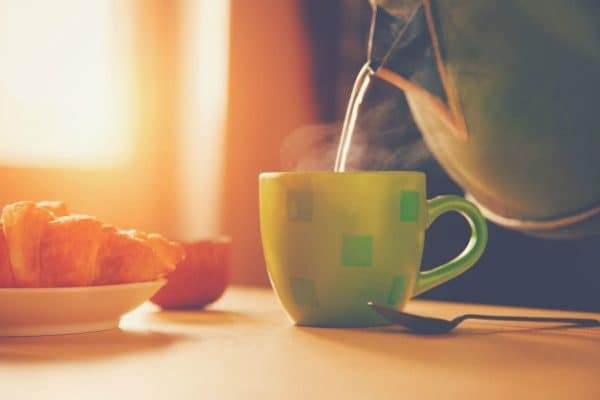 Warm beverages like soup and tea will not only soothe the throat but promote the immune system to help fight the bacteria. Get plenty of vitamin C. This helps bolster the immune system to help fight disease. Make a paste of cayenne pepper and raw honey, and dab it on the back of your throat. Cayenne pepper is a natural remedy for strep throat, and raw honey has antibacterial properties. Add crushed fresh garlic to the above paste for extra antibacterial properties, and eat the paste several times a day. Beware of bad breath. Keep a humidifier running to help your throat stay moist. Rest and fluids. Getting your vitamins and letting your body rest to fight the infection goes a long way towards feeling better, as well as staying hydrated. While these have been shown to work to alleviate some symptoms of strep throat or lessen the effects, nothing can replace a doctor. Strep throat is a severe bacterial infection that can cause worse problems later on. It often goes hand in hand with other throat or mouth infections such as canker sores. Be sure to consult your doctor before attempting to treat strep throat on your own. If you’re worried about being prescribed unnecessary antibiotics, make sure your throat culture comes back positive before taking them. Nobody likes having sore throats. Sore throats, on their own, leave you feeling lousy and usually mean that some ailment is close behind. On the bright side, there are a variety of treatments you can employ to cure, or at least ease, sore throats. The best news? Treating sore/strep throats is usually a simple process, meaning you can minimize your downtime and maximize your up time. 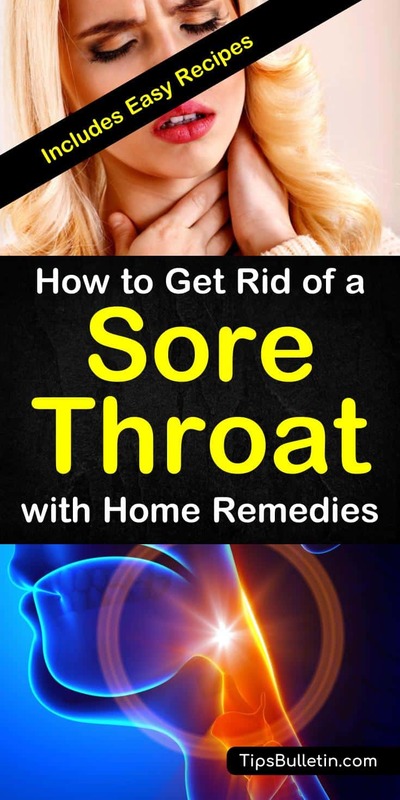 In this article, you learned a few home remedies for sore throats, how to know if you have strep throat, and how long does a strep throat last. Do you know someone with a sore throat? Are you worried that they might have strep? Please share to Facebook and Twitter using the buttons below.